On this Feast of the Epiphany many people are de-trimming their trees, boxing up the nativity sets, and either stowing the fake garland or trashing the real stuff. Today is the traditional (the more liturgically militant among us would argue the mandatory) day that Christmas decorations come down. Why? Because Epiphany marks the end of the 12 days of Christmas (man, those 12 drummers drumming were annoying). Because everyone's been so good during these past 12 days, I'm offering (at no charge to you!) 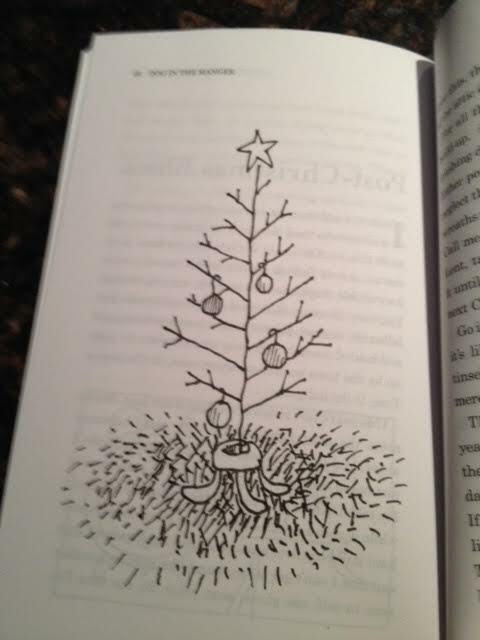 an essay from my book Dog in the Manger: Finding God in Christmas Chaos. Since Scott Gunn and the folks at Forward Movement haven't authorized this sneak peak either a) don't tell them or b) get your 2014 Christmas shopping done early and order a bunch of copies. PS. Since this is a bootleg blog post I have taken a picture of Jay Sidebotham's accompanying illustration with my iPhone. Is there anything more depressing than de-trimming a Christmas tree? No one ever wants to do this job. Obviously the boys are nowhere to be seen but even our dog Delilah makes herself scarce. As yuletide traditionalists, we keep ours up through Epiphany (January 6th), even if every single needle has fallen off. 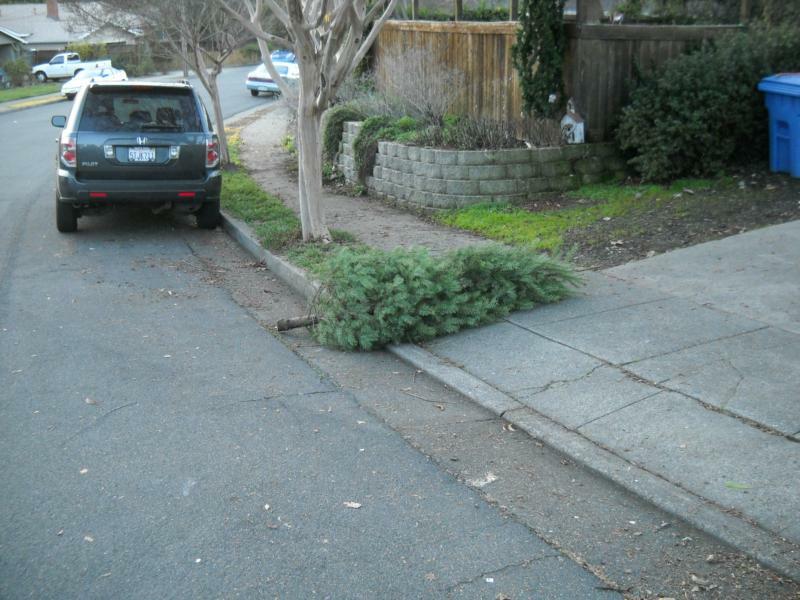 At which point it’s unceremoniously stripped and hauled down the driveway where it remains waiting to be picked up by the town sanitation department. O Christmas Tree, O the indignity. You could argue that hauling a dead tree into your living room and decorating it is an odd way to celebrate the birth of Christ. Now, I love the whole Christmas tree tradition – and I refuse to give in and get a fake tree no matter how “real” they now look. But I’m just saying it’s not the first thing that comes to mind. Wouldn’t a birthday cake suffice? This year’s tree removal was like years past. Bryna notes the date and then goes into uber de-trimming mode. I just stand back, speak when spoken to, and do what I’m told. So on cue I wrestle the tree out of the stand while spewing needles all over the place (note to self: haul it out top first next year) and getting covered with sap which I’m still trying to get off my hands (another note to self: use gloves). By the time I’ve done this the boxes of ornaments are sitting in front of the attic door; Bryna’s not so subtle hint. For all the hype and frenzy of the pre-Christmas build-up, it’s amazing how quickly it all comes crashing down. You go into a store in the days following Christmas and you wonder if Christmas happened at all. The decorations are down as employees start setting up for the next one. President’s Day? Valentine’s Day? The trick is holding onto that Christmas spirit year-round. Christ’s incarnation, God’s coming into the world in human form, isn’t relegated to the twelve days of Christmas. If so, what would be the point? If the Christmas spirit doesn’t even have the shelf-life of your average fruit cake, something’s wrong. Thinking about the real message of Christmas as you haul down the exterior icicle lights isn’t a bad spiritual exercise. The sales are over, the lights are off, the kids are back to the normal routine, the threats that they’ll get coal in their stockings if they don’t behave are no longer effective, and the extended family has gone home. Hopefully. As you teeter atop the ladder pulling down colored lights above the front door, you quietly reflect upon what it means to be in relationship with God. Ultimately it’s what gives meaning to life. Without this relationship, life is shallow and hopeless, devoid of joy and fullness. Every minute feels like that precise moment when a child realizes he’s opened the very last Christmas gift. And it’s not pretty. One thing I’ve noticed in recent years is that the lone holdout to all the post-Christmas de-trimming mania is the front door wreath. I’m not sure if people don’t use their front doors or if they neglect them but well into March you’ll see browning wreaths adorning doors all around your neighborhood. Call me a stickler but my general rule is that if it’s Lent, take down the Christmas wreath! If it makes it until Easter, you may as well just leave it up until next Christmas. I admit it’s sometimes difficult to make smooth seasonal transitions. If we’re not careful, the church year can feel like a liturgical treadmill. But each season brings opportunities to meet God anew and that’s the joy of experiencing our lives through the rhythm of the church year. We see and experience the triumphs and tragedies of life amidst the backdrop of the eternal. But there is occasionally overlap between the seasons. Just as we may find that long lost shepherd from our crèche as we vacuum behind the couch for Easter dinner, we may feel particularly penitential during Christmas. Or joyful during Lent. The seasons of our relationship with God are not usually neat and tidy. There is seasonal “drift’ that takes place. Most important is to be cognizant of our ongoing relationship with God. Even if our current spiritual mood doesn’t match the liturgical color of the season. 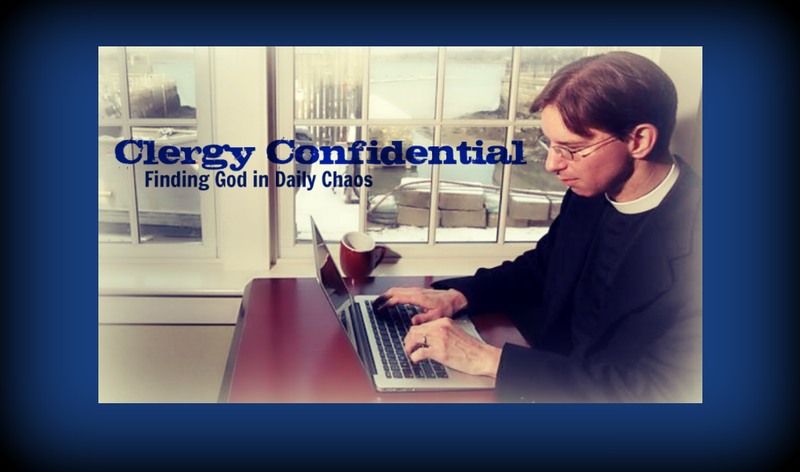 Nearly 900 words based on the Epiphany and not one "Jesus" or "Christ" to be found. So an appropriate word for this little treatise would be "irrelevant." The last thing that gets packed away here is the crèche, trying to move the wise men through their journey to honor the Christ child before Epiphany. And we have a tribe of wise men, about seven, collected from toddler services over the years( so glad that three is not mentioned in Matthew). Our society packs Christmas away so quickly and moves on to the next holiday and it is easy to get caught up in that "out with the holidays" mode, especially when the tree takes on the that scary quality of incendiary bomb waiting to explode. But keeping the crèche out helps ease the transition to ordinary time, I find. Now if I could just keep the mood of being fully awake and joyful when ordinary time gets well, ordinary. Thanks for your post, and I'm okay that you didn't mention Jesus this time. Funny. I did a search on this page for "Christ" and got 26 hits. Why? Because Christmas is Christ + mass. So even though you are my archnemesis, I don't think you can be accused of being a unitarian. Lots of other things though.